Your wellbeing is important. Give it priority. Your mind has so much potential and power, so train it and direct it towards goodness and wisdom. Your body is not your slave. Your body is your vehicle to your Enlightenment, so treat it with care and kindness. Your heart is the bridge between your inner and outer worlds, allowing you to expand your empathy and compassion to all beings without discrimination. Metta Centre invites you to this place to heal the mind, body and heart. Together we develop our inner peace, so as to create world peace. The talks and courses organised by the Metta Centre are open to the public, focused on bringing wellbeing to oneself and our community. Metta Centre welcomes teachers and Buddhist groups who wish to share the Buddha’s teachings and the practice of meditation. The space is conducive for talks, workshops, classes and meetings. The hall can comfortably fit about 50 people. We have 32 chairs, with room for mats and cushions. A meeting room is also available in a separate room. Refreshments can be provided. We do not charge for venue hire for free events, as we wish to support the giving of the Buddha’s teachings free of charge. 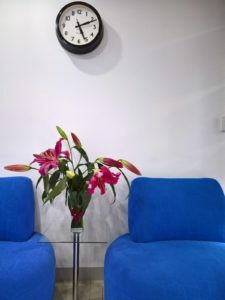 If organisations and their members wish to make donations to the Metta Centre to help us continue providing this space free of charge, those donations will be greatly appreciated and wisely spent. Booking is essential, so please contact us to discuss your event. Your spiritual practice does not need to stop when you go to work. Your work could be your spiritual practice. If we infuse the things we do in goodness, and align what we do with truthfulness and rightness, then your work can be a part of your spiritual service. This is Right Livelihood, one of the eight factors of the Noble Eightfold Path as taught by the Buddha. To create mentoring programs to promote training in professional and life skills. If you are interested, speak to us about how we may support you and your work by contacting us. Central to our spiritual practice is our spiritual service. To pursue the purification of our mind is a service to humanity; to serve our community is to develop our inner qualities. Our life and the lives of others are intertwined. As a non-profit organisation, Metta Centre aims to develop social projects to better the lives of people, animals and the environment. Projects are developed at a grass-roots level by a volunteers interested in a particular project. If you are interested in volunteering, we would love to hear from you! All skills are useful! Donations to the Metta Centre will help us fund our social projects.